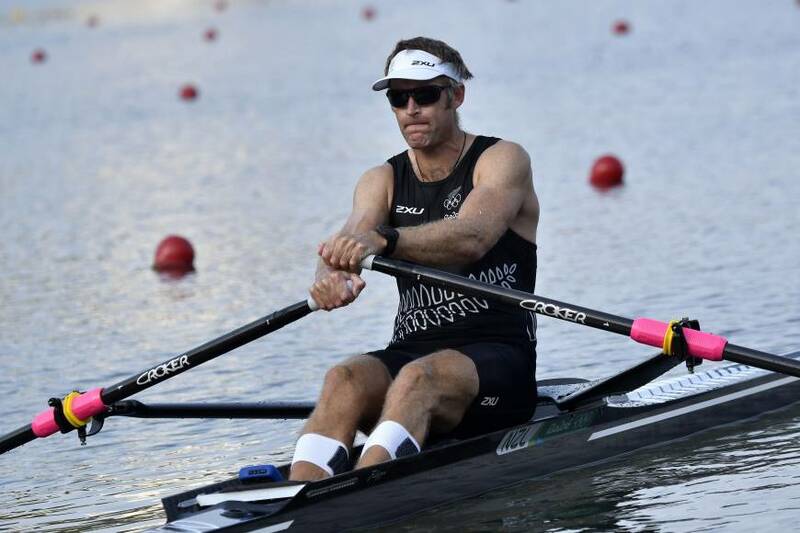 RIO DE JANEIRO - New Zealand rower Mahe Drysdale scored a huge psychological victory over his friend and archrival Ondrej Synek of the Czech Republic in the Olympic men’s single sculls quarterfinals, overhauling him in the final section on the Rodrigo de Freitas Lagoon on Tuesday. The two have one of rowing’s great rivalries and for them to meet at this stage of the competition was a treat for fans. 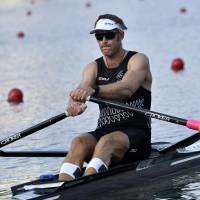 The 37-year-old Drysdale is the reigning Olympic champion and Synek has claimed all of the world championship titles in this Olympic cycle. Synek took an early lead and was still ahead at the halfway point, but in the third Drysdale made a massive push and passed the Czech at about the 1,500 meters mark before winning by a length. Among those joining them in the semifinals are Cuban Angel Fournier Rodriguez, who has stated his intention of becoming the world’s best, and Belgian Hannes Obreno, a surprise winner over Drysdale at Henley. Drysdale, nicknamed “Grandpa,” is the holder of the world’s best time of 6 minutes, 33.35 seconds set at the 2009 world championship in Poznan, Poland.